Who is our list looking? 4. “Could you please research how many Canadian high school pitchers have been drafted, signed and make the majors for me please?” Obviously a team interested in Soroka. 16. "Half dozen teams on Naylor, may not get past Dodgers at 24. Demi O sliding some due to poor spring performance." 17. "I don't think the Naylor gets by the Phillies at 10th." From 1985-90 … the only Canadians eligible for the draft were those attending university or college, south of the border. Canadian high schoolers were considered free agents and could be signed on a first-come, first-serve basis. Prior to the 1985 draft … all Canadians were considered free agents and could sign with the team showing the most interest. 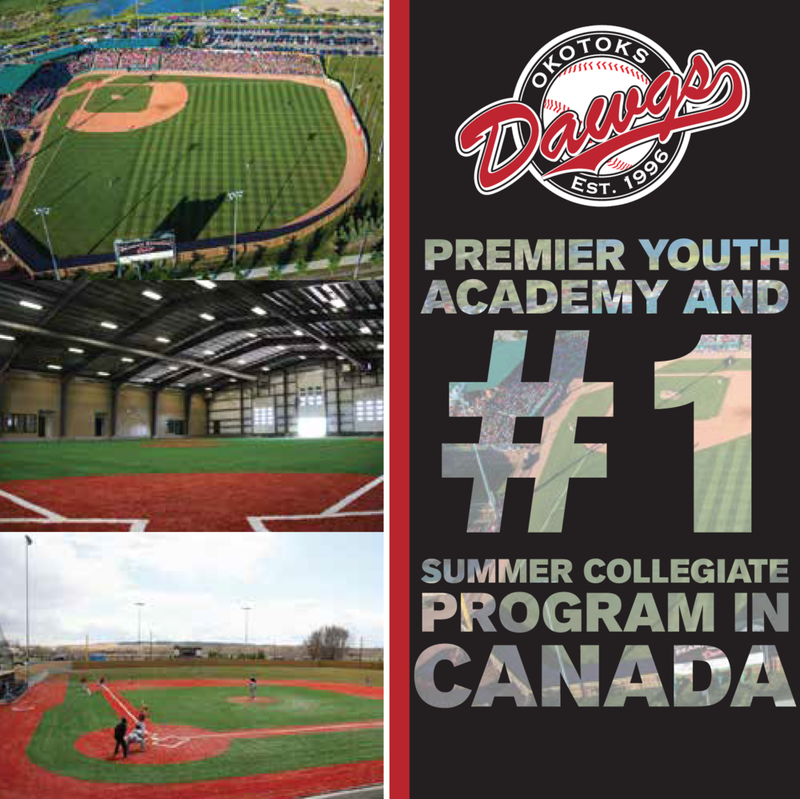 Canada has developed into a strong area for prep talent, both for the Major League draft and for Division 1 talent. The competitive nature of travel programs and the Canadian Junior National Team allows evaluators to see plenty of top prospects against high-quality competition. 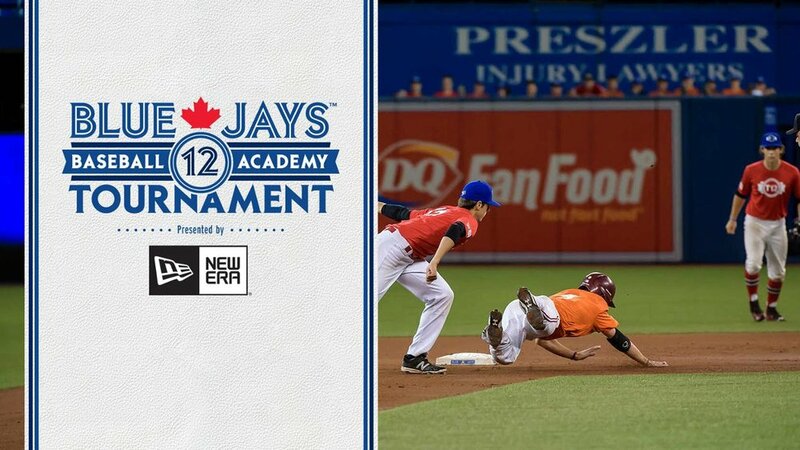 The Canadians have become a must-watch demographic, with excellent opportunities for scouts to do so be it at the rising Tournament 12 or during club teams’ travels during spring training. This year’s talent is headlined by position players Demi Orimoloye and Josh Naylor, who have been famous for several years. Righthander Mike Soroka also has middle-of-the-rotation potential, giving this year’s Canadian crop extreme upside. Beyond the big three, there’s a group of athletic outfielders and projectable pitchers. 9. Isaac Anesty, lhp, Our Lady of Lourdes Catholic SS, Guelph, Ont. 10. RJ Freure, rhp, Robert Bateman HS, Burlington, Ont. 13. Austin Shields, rhp, St. Mary’s Catholic SS, Hamilton, Ont. Outfielder Daz Cameron, right-hander Mike Nikorak or outfielder Kyle Tucker. “And then there’s this guy at short,” nodded another wise man. Just then the shortstop went onto the grass to back hand a ball and throw a strike to first for the third out of the inning. I waited patiently to ask his name and saw he was leading off the next inning. “You know a right-handed high school hitter has never pulled a ball out of this park all the years this showcase has been here,” said another scout. Two pitches later the ball cleared the left field wall. His name was Brendan Rodgers of Longwood, Fla. and he was expected by many to be one of first high schooler to go in the draft. Blue Jays: Scouting director Brian Parker and general manager Alex Anthopoulos will make the call on the Jays first pick (29th over-all, in the second round) from the Level 300 at the Rogers Centre, but they'll call vice-president Jay Stenhouse at MLB Network Studios in Secacus, N.J. with the player. Then, former all-star Vernon Wells will make the call. Wells is pinch hitting for legendary Blue Jays scout Mel Didier. Slot value for the Jays first pick is $1,944,800 US. A year ago tonight there were 74 picks on the opening night of the draft and Gareth Morgan (North York, Ont.) went with the final pick of the first day, 74th over-all to Seattle Mariners from the Ontario Blue Jays and the Canadian Junior National Team. Tonight there are 75 picks. Jays picks over the years ...Since Tom Goffena was drafted in the first round by the Toronto Blue Jays in 1977, the franchise has selected 1,754 additional players in the June draft. They’ll replenish the farm system again over the next three days. The Jays have picked early and late. They were as high as second over-all in North America three times in choosing Lloyd Moseby (1978, 1,588 games in the majors), Garry Harris (1980, four seasons, making double-A Knoxville) and Augie Schmidt (1982, five seasons, reaching triple-A Syracuse). They picked low outfielder Bert Emanuel in the 75th round (1,478th over-all) in 1989 and Peterborough’s Dave Steffler from Winthrop University in the 67th round in 1997 (1,572nd over-all). They have never ever picked 29th over-all. The best Jays picks ever ... for each round? We’re not going by favorites rather we’re using Baseball-Reference’s Wins Above Replacement (WAR) numbers which takes a player’s contributions to his team and how the numbers would compare to a minor leaguer had playing in his place. First round selections _ 1995 RHP Roy Halladay (64.7), 1993 RHP Chris Carpenter (34.5), 1991 OF Shawn Green (34.5), 1997 Vernon Wells (28.5), 1999. OF Alex Rios (28.4), 2008 LHP Brett Cecil (5.8), 2010 RHP Aaron Sanchez (2.2). Second _ 1982 LHP David Wells (53.6), 1987 OF Derek Bell (13.0), 1992 RP Tim Crabtree (4.4). Third _ 1989 1B John Olerud (58.0), 1982 LHP Jimmy Key (49.6), 2003 RHP Shaun Marcum (12.9). Fourth _ 2004 RHP Casey Janssen (8.2), 1986 RHP Xavier Hernandez (2.6), 2B Ryan Goins (2.0). Fifth _ 1978 RHP Dave Stieb (57.2), 1986 RHP Pat Hentgen (32.7), 1997 Michael Young (24.4). Sixth _ 1982 C Pat Borders (3.7), 1984 3B Scott Livingstone (2.4), 1985 Jeff Musselman (0.8). Seventh _ 1996 3B Casey Blake (24.9), 1986 Cris Carpenter (2.5). Eighth _ 1988 RHP Tim Pugh (0.4). Ninth _ 1977 OF Jesse Barfield (39.3), 1983 OF Glenallen Hill (9.7), 1989 OF Jeffrey Hammonds (8.6), 2009 LHP Aaron Loup (3.0). 10th _ 1995 2B Ryan Freel (8.8), 2009 C Yan Gomes (7.9), 1996 Josh Phelps (3.2). 11th _ 1986 RHP Willie Blair (2.5), 1982 LHP Ed Vosberg (2.0). 12th _ 1992 1B Doug Mientkiewicz (11.9), 2000 RHP Vinnie Chulk (1.4). 13th _ 1995 LHP Ted Lilly (27.0), 1991 SS Alex Gonzalez (11. ), 1987 OF Ryan Thompson (3.5). 14th _ 1999 RHP Brandon Lyon (6.5) 1998 1B Jay Gibbons (5.6), 1982 OF Ron Jones (1.6). 15th _ 1985 RHP Rich DeLucia (3.0), 2009 RHP Drew Hutchison (1.6), 1994 RHP Gary Glover (1.3). 16th _ 2010 OF Dalton Pompey (0.4), 1986 RHP Jimmy Rogers (0.1). 20th _ 1989 INF Jeff Kent (55.2), 1997 LHP Mark Hendrickson (4.5), 1991 RP Ben Weber (3.1). 21st-30th _ 1988 28th RHP Woody Williams (30.9), 1982 27th RHP Mike Henneman (13.2), 1991 25th RHP Ryan Franklin (11.8). 30th-40th _ 2011 32nd Kevin Pillar (2.5), 1996 33rd 2B Orlando Hudson (30.9), 1985 36th Jim Abbott (19.9). 41st-75th _ 1988 44th RHP Scott Erickson (25.1), 1997 52nd Chad Qualls (6.4), 1997 46th Brad Hawpe (4.3). 1. 1st, 1995 RHP Roy Halladay (64.7). 2. 3rd, 1989 1B John Olerud (58.0). 3. 5th, 1978 RHP Dave Stieb (57.2). 4. 20th, 1989 INF Jeff Kent (55.2). 6. 3rd, 1982 LHP Jimmy Key (49.6). 10. 5th, 1986 RHP Pat Hentgen (32.7). 11. 1st, 1997 Vernon Wells (28.5). 12. 1st 1999. OF Alex Rios (28.4). 13. 1st 1978 OF Lloyd Moseby (27.4). 15. 7th, 1996 INF Casey Blake (24.9). 16. 1st 1992 OF Shannon Stewart (24.8). 17. 1st 2003 INF Aaron Hill (24.6). 18. 5th 1997 INF Michael Young (24.4). Naylor to the Marlins 12th over-all ... One scout emailed to say now I have two reasons to dislike the Marlins: owner Jeffrey Loria who took the Expos out of Montreal and because they drafted Naylor ahead of our pick. Callis: His No. 59 ranking on the Pipeline board might make him seem like a reach, but he had as much late helium as anyone before the Draft. He put on a show with Team Canada in a tour of the Dominican Republic, facing professional pitchers. He hit five home runs in 12 games, similar to the run that Brett Lawrie went on that made him a first-round pick in 2008. Braves take RHP Mike Soroka (Calgary, Alta.) of the PBF Redbirds 28th. Used to be the Bravos owned the Great White North under then general manager John Schuerholz, scouting director Dayton Moore and area scout Lonnie Goldberg, with the top Canucks in 2001 (3rd round, OF Adam Stern Port Stanley, Ont. University of Nebraska) and 2000 (1st, INF Scott Thorman Cambridge, Ont. Team Ontario/Canadian National Junior Team). and narrowly missing in 2003 when the San Francisco Giants took Brooks McNevin in the foutth round and four picks later the Braves chose INF Jamie Romak (London, Ont.) from the London Badgers. Callis: It’s a good night for Canadians here at the Draft. We heard that Josh Naylor had some late helium, but Soroka had a lot of helium as the Draft approached as well. The Braves are obviously not afraid of high school pitching, as they got Allard earlier and now get Soroka. That really beefs up the future rotation in Atlanta. And the wrap ... three Canucks, Naylor highest position player ever so a historic day. Tuesday: top Canuck on the board OF Demi Orimoloye (Orleans, Ont.) Ottawa-Nepean Canadians ... name to watch OF Myles Gordon (Oakville, Ont.) Great Lake Canadians.